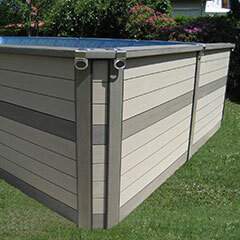 Both the exterior cladding and the pool liner are available in many different designs. 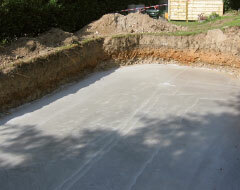 Thanks to its self-supporting construction, AZTECK pools can be placed above ground or alternatively half or completely embedded in the earth. Customized solutions are also possible. 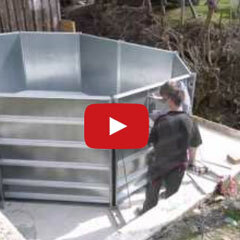 These pools can be enlarged at any time – even subsequently. ein neuartiges Konzept, das Ihnen viel Freizeit lässt - heute und in Zukunft. Vorteil: Beständig gegen alle Arten von Umwelteinflüssen. All parts of a AZTECK pool fit through a standard door. 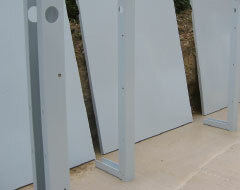 Therefore they are easy to install, even if the area is hard to reach. 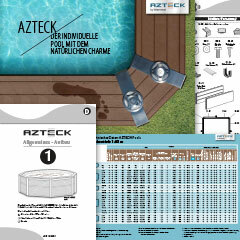 The only structural measure which is necessary for a AZTECK pool is a stable and flat surface or a concrete floor without any openings. 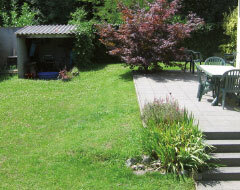 The structure of the pool is made of stable steel plates, which are connected through special steel angles. 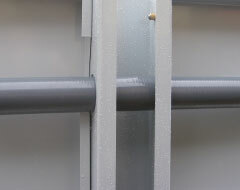 The steel angles are specially designed, so that wires and cables could be installed between the steel plates and the cladding. The enormous stability of the construction is guaranteed through the unique, patented connection system. 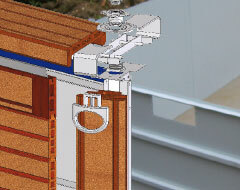 This system enables it to fix all elements of the construction in one operation. 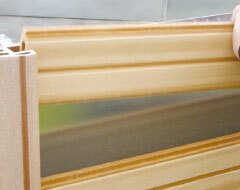 The cladding is made of single elements, which are easily plugged together in the tongue and groove system. The „Skimmer Dress“ is standard equipment for all AZTECK pools. 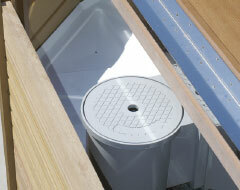 Therefore the skimmer basket is perfectly covered, but yet easily accessible.